Mikha’il Na’ima‘s poetry salon started in a slightly dark atmosphere that is inspired by Na’ima’s famous verses about death. 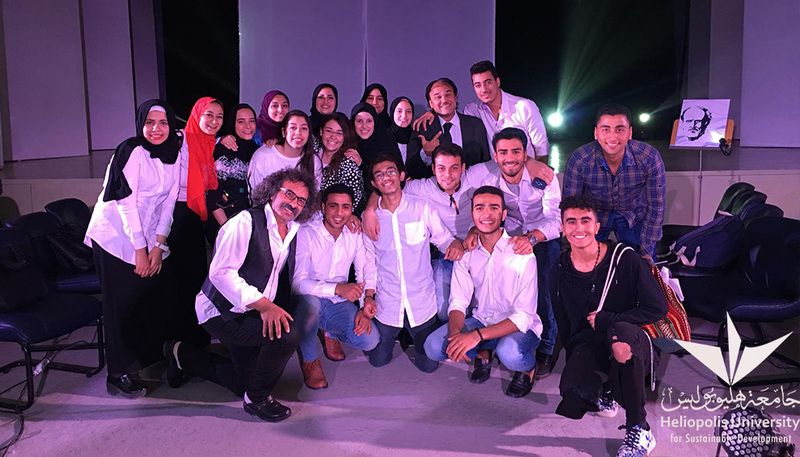 Rather than standing on stage as usual, the actors, students of Heliopolis University, were sitting among the audience. Then they started walking around, expressively moving or acting bringing Na’ima’s words into life within a nontraditional theatrical setting. Tamer Elgazzar played the role of Na’ima and recited some of his most impressive poems. 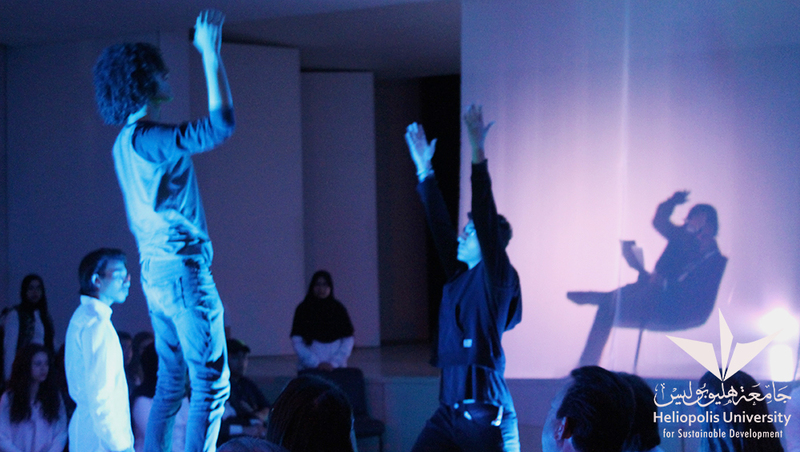 During this recitation, the actors embodied the words through different lively scenes. Mikha’il Na’ima (1889-1988 Lebanon) was a poet, novelist, and philosopher. He is also called a spiritual writer because of his remarkable writings about death. He had a unique humanitarian approach. Na’ima is considered as one of the most influential figures in the modern Arabic literature. 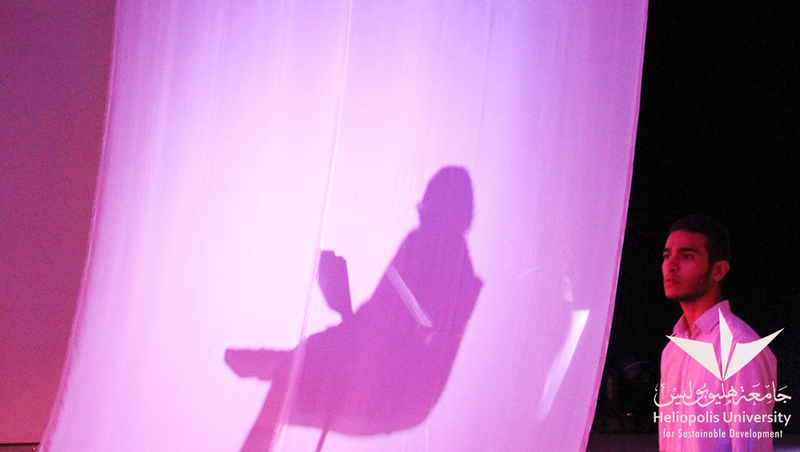 The music was by Sherif Mostafa, lighting system by Mohamed Abdel Mohsen, and the salon was directed by the innovative director Hamada Shousha.